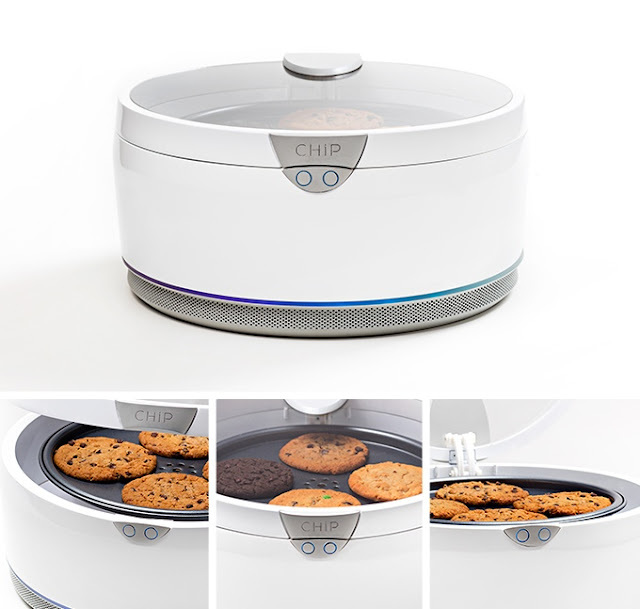 The CHiP Smart Cookie Oven will bake perfect gourmet cookies in under 10 minutes. CHiP™ was created by the team that brought you SideChef®, the step-by-step recipe app named “our favorite cooking app” by The New York Times in 2016. In line with our goal to make cooking easier for everyone, we developed CHiP. WiFi-enabled and smart, he can integrate with other Smart Home systems and provide the easiest and fastest way to enjoy freshly baked cookies anytime, and anywhere. Download the CHiP app and you’ll also be able to send CookieGrams™ to your friends and loved ones. We have worked hard to perfect every detail and create a truly baking companion. CHiP is integrated with our user-friendly software for a seamless experience.